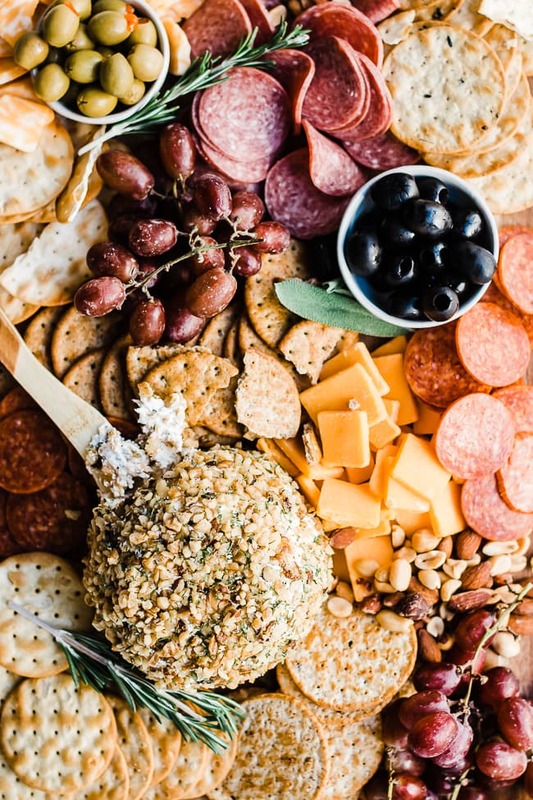 This ranch cheese ball recipe is the perfect addition to any gathering. This recipe is easy, you can make it ahead of time, and you are left with delicious results. This post is sponsored by Milton’s. All opinions are my own. Who doesn’t love a cheeseball?! They are the perfect spread for crackers and always please a crowd. According to legend (which means this probably isn’t true) the first cheeseball was served to Thomas Jefferson at the White House. The cheeseball wasn’t widely popular until the mid century – it kind of went along with army green appliances and shag rugs. Since then they lost the spotlight for a bit, but now they are in style again, and I can’t get enough of them! 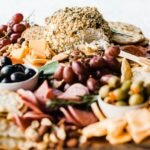 What Do I Need To Make A Ranch Cheeseball? How Do I Make An Easy Cheeseball? Let me give you the rundown. You’ll be done from start to finish in under 10 minutes. Next, add in herbs and seasonings and mix until well combined. Stir in grated Colby jack cheese. Transfer to parchment paper or plastic wrap. From into a ball with clean hands or using parchment paper or plastic wrap. Roll in walnuts and herbs. Pro Tip: Save your arms, and use an electric mixer to mix your cream cheese. I use the paddle attachment on my kitchenaid stand mixer. What Do I Serve With My Cheeseball? I have a wonderful suggestion as to what to serve with your cheeseball. 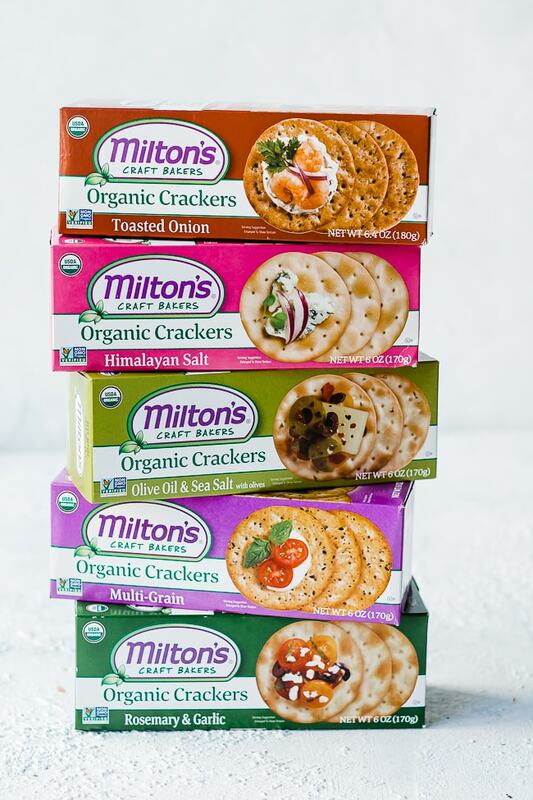 Milton’s Organic Crackers! They are delicious and come in a variety of flavors. Years ago I put together a meat and cheese basket for my mother in law at Christmas. I included Milton’s Gourmet Crackers and she was delighted. She is a long time fan of their bread and was so happy to see their goodness in another form. Me and my kids gobbled up these crackers. For those of you looking for a gluten free version – Milton’s has that too! And they are just as tasty! 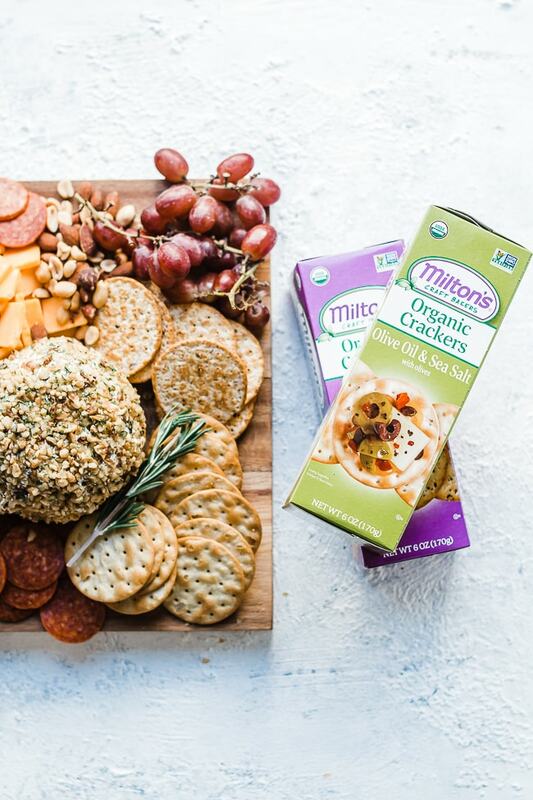 All of Milton’s Crackers are made with ingredients that are Non-GMO Certified, so they are something you can feel good about serving. 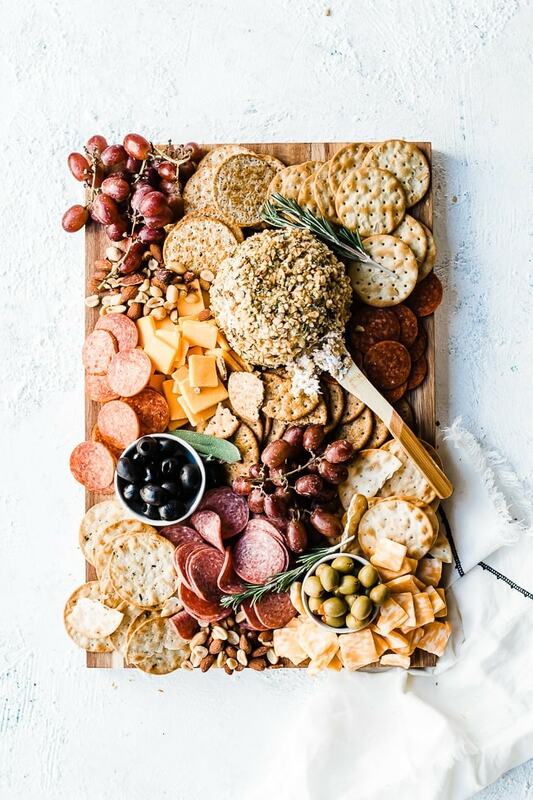 Let’s talk briefly about how to present your cheeseball. Let’s face it – a ball of cheese is kind of boring. I decided to serve mine on a cutting board, charcuterie style. It is beautiful and brings variety to your guests. 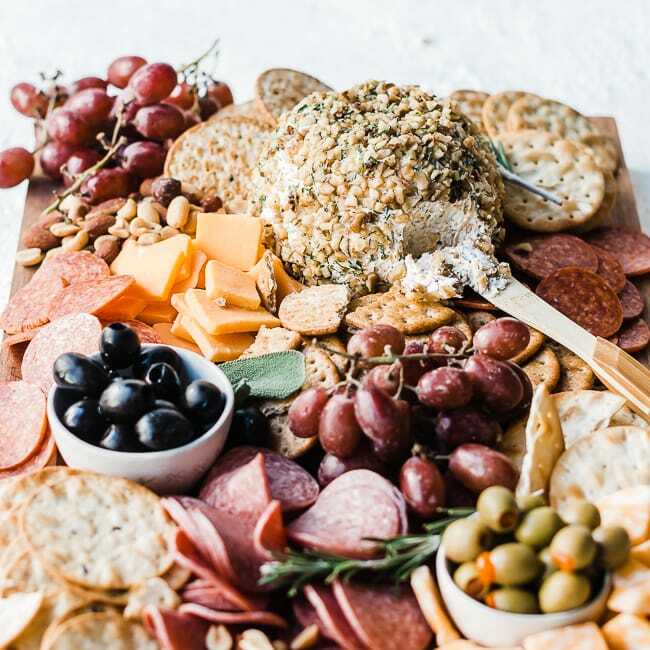 They can pick and choose from a variety of appetizers, and your cheeseball is the star of it all. 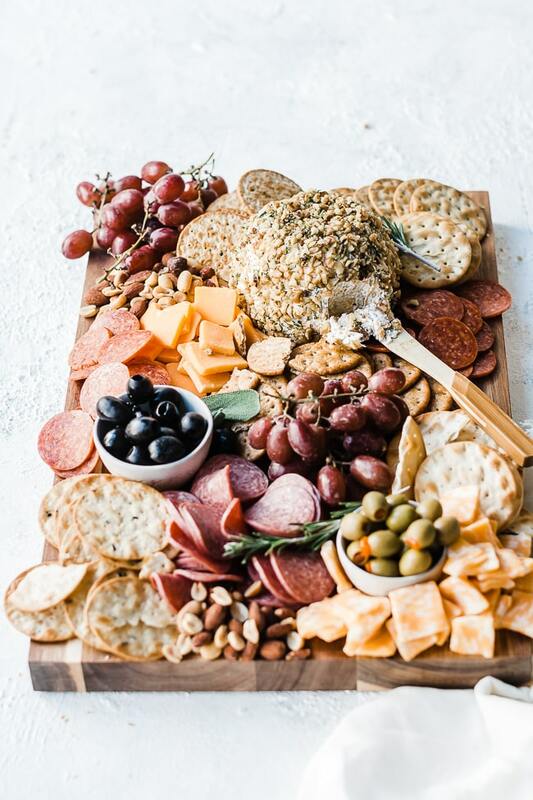 What is a charcuterie board you ask? Charcuterie (pronounced shahr-cute-uh-ree is a French word for smoked, dry-cured or cooked meats. They are often placed on a serving platter with cheese and crackers. It really is a stunning way to serve up cheese and crackers. How Long Will My Ranch Cheeseball Last In The Fridge? We are using dried herbs rather than fresh, so your cheeseball will keep in the fridge for about a week and a half. That is – if it isn’t eaten before then! Can I Freeze A Cheeseball? Yes! Wrap your cheeseball tightly in plastic wrap and freeze if for up to 4 months! When you’re ready to serve – transfer to your fridge and let it thaw overnight. This makes for an easy appetizer in a pinch. 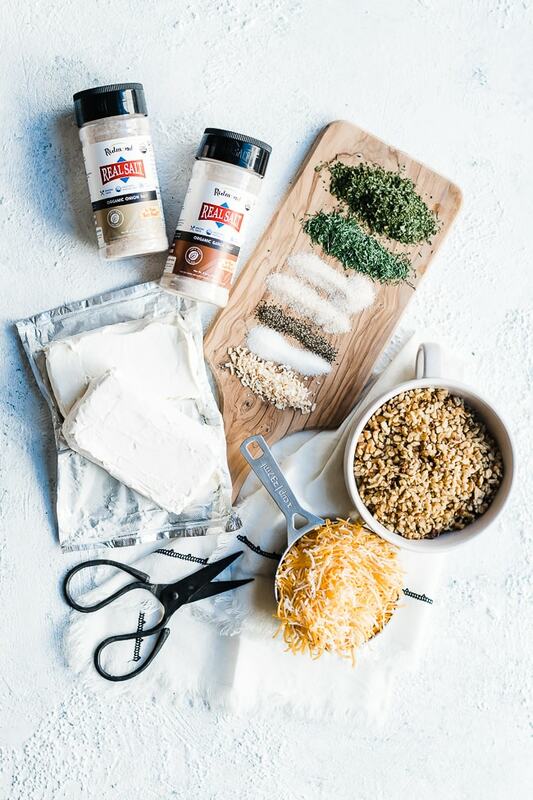 If you tried this easy ranch cheeseball recipe or any other recipe on the blog then don’t forget to rate the recipe and leave us a comment below. You can also follow us on Facebook, Twitter, Instagram and Pinterest to see what else we’re getting up to! And don’t forget to pin this recipe to save for later. 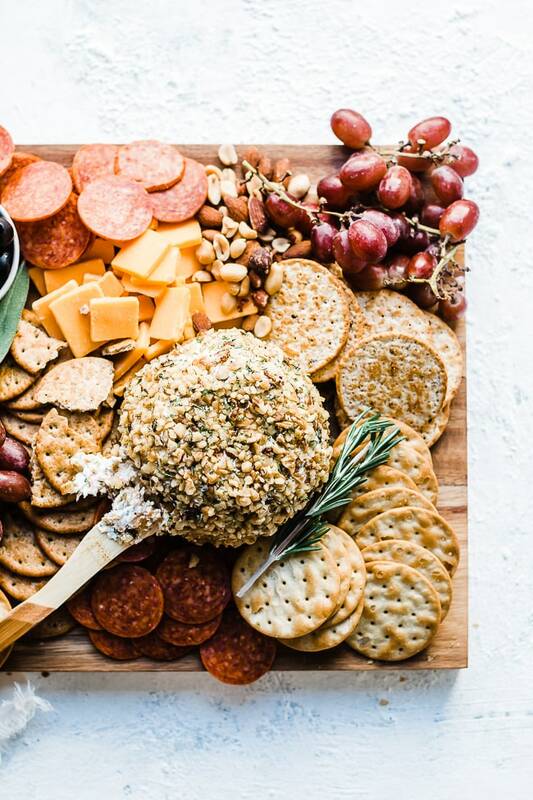 ​This ranch cheese ball recipe is the perfect addition to any gathering. This recipe is easy, you can make it ahead of time, and you are left with delicious results. Using an electric mixer, cream cream cheese until softened. Add parsley, dill, chopped onion, onion salt, garlic salt, black pepper, and sugar. Mix until well combined. Transfer to a piece of parchment paper or plastic wrap and form into a ball. Roll in walnuts until the outside is completely covered. Serve with crackers, veggies, and meats. I made this for a get together and everyone went nuts! It is delicious! 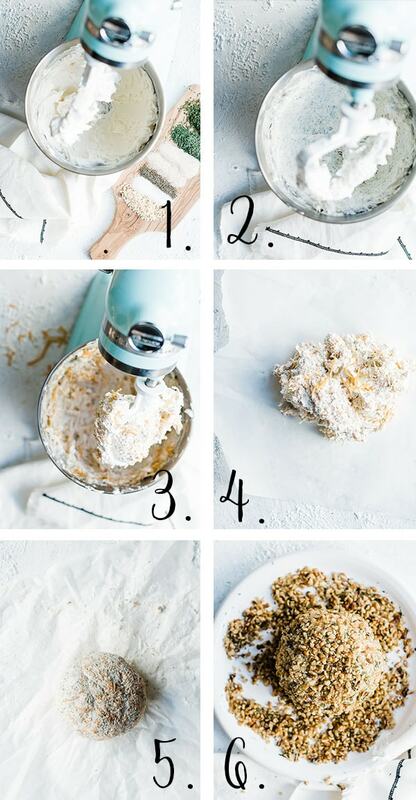 Definitely keeping this in my recipe box!